Hayes has never met a stranger or been in a room he can’t win over. That combination is perfect for work in the community because Hayes doesn’t just show up. He entertains, connects, and does whatever is necessary to brighten someone’s day. Last night, that was grabbing a microphone and singing his heart out to raise money for cancer patients’ healthcare needs. Last week, it was getting his hands dirty at City Seeds Urban Farm with Gateway Greening alongside clients from St. Patrick Center, an organization which provides opportunities for self-sufficiency to people who are homeless or at risk of becoming homeless. City Seeds Urban Farm provides clients from St. Patrick Center with job training and horticulture therapy. Hayes is willing to do whatever it takes to meet people on their level. That is the goal of his yearlong program with St. Patrick Center. He will take part in a variety of initiatives and outreach opportunitieswith St. Patrick Center, culminating in Hayes living homeless in shelters and on the streets for three days during the offseason. Hayes’ consistent involvement with St. Patrick Center as well special events including Ram-oke and the Make-A-Wish Foundation have won Hayes the community player of the week award. “We have a lot of fun personalities on the team, but Will is certainly one of the leaders in that area,” said Molly Higgins, Rams’ vice president of corporate communications and civic affairs. “He’s full of energy and ideas on ways to help people who are in difficult life situations. His passion is infectious and he does an awesome job serving as a charitable leader in a locker room of great, charitable guys. 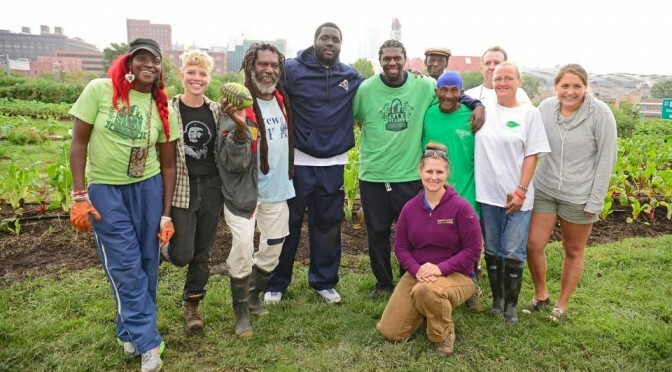 About the Rams Community Player of the Week: Each week during the 2014 season, the St. Louis Rams will select a player who has made a positive impact on the Greater St. Louis community, giving of himself off the field. Each honored Rams Community Player of the Week will receive a gift certificate to Ruth’s Chris Steak House, the Official Steak House of the St. Louis Rams.